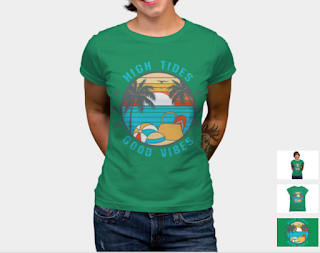 For someone who loves to go to the beach on a regular basis (and thank God for being programmed as such in a tropical country), doing beach trips on a budget has become easier. My family have been doing cheap beach getaways at least three times a year since we were little. So, these travel tips we will be sharing, are based on our experiences. If they do work for you on your budget beach trips and budget vacations on the beach, it would be wonderful if you tag #munchtrip in your social media posts. We would be glad to see you find our tips helpful. 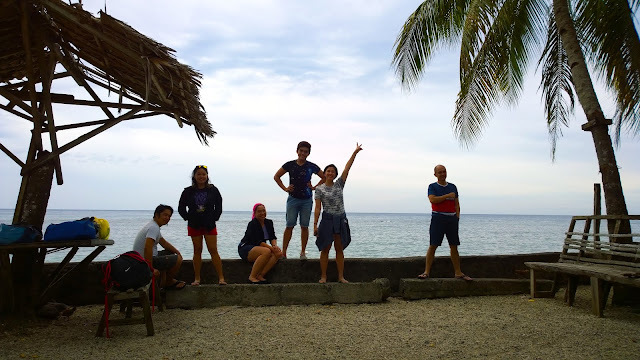 Without further adieu, here are MunchTrip's travel tips on how to do a beach trip on a budget and to go on cheap beach getaways. but for bigger groups renting a van might be more economical. Buses can be cheap for a group of four. 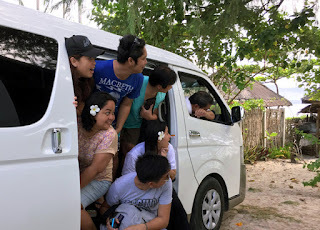 But sometimes, if your group is already bigger (six and above), hiring a private van, or even a jeepney could be more economical. I remember back when we were younger, hiring a jeepney for the barkada* is the Filipino way to go. TRAVEL TIP #2: DRY OVER SAUCY. SOY SAUCE OVER TOMATO. We love Filipino food cooked at home. We crave and favor our grandma's adobo, mama's pancit, and papa's kinilaw. So to have a beach trip on a budget, we tend to do potlucks. "Dry over saucy" basically means pick dry or fried food over ones that have sauce. This, we got from a Quality Assurance for Food expert. Sauces can spoil faster because of the liquid content. Filipino food is the best. DRY over SOY SAUCE over TOMATO SAUCE. "Soy sauce over tomato." If you must have sauces, avoid tomato-based and dairy-based sauces as well. The acid content might make your tummy react badly. When we travel, our stomach can produce more acid than normal. TRAVEL TIP #3: BRING UTENSILS. DON'T BUY. Although it may be easier to throw away disposable cups and utensils, it is cheaper to bring reusable ones that you may have already lying in your cabinet. You could easily spend 150PHP (3 USD) which you could have spent to buy over a kilo of chicken pieces, and cornstarch to make Baked or Fried Chicken (like the one I made for the photo above). Besides, mama's Tupperware can take a break from staying in the cupboard for four months since Christmas. 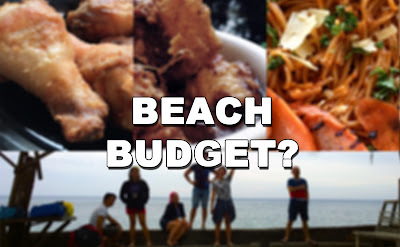 Do you have more Filipino traditions or Filipino ways of going on beach trips on a budget? 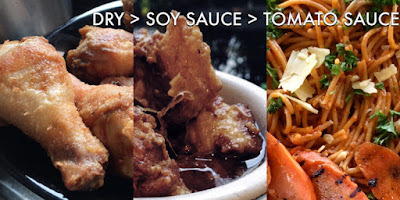 Do you want the recipe of the Fried Chicken I made and took a picture of for this blog post? Do you have more unique ways of doing picnics and outings with your friends and family? *barkada - Filipino term for peers, friends, or troupe. Kakauwi lang namin ng friends ko last night from 3 nights and four days of travel sa Cagayan Valley. We also did the second and third tips but later did we realized na sana pala we rent a van, mas tipid and accessible :). As for us we stayed 2 nights there so we brought tents. Mas enjoyable kasi malapit sa shore and mas tipid din. You don't need to rent an Inn or room. Plus, the ambiance of being in a tent gives different kind of joy (for me he he).